When you’re a bit of a beauty addict, you always want more beauty products. I find beauty websites a lot like ASOS for me; you spend hours on them saving items dreaming of buying things you can’t afford. I figured like myself, you guys have a beauty wish list as long as your arm so I thought I would share my beauty wish list with you all! 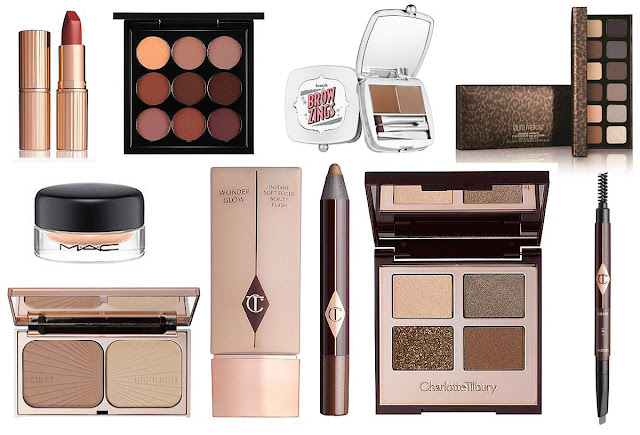 Charlotte Tilbury is a make-up brand I absolutely adore and Charlotte herself I find fascinating. I love watching her tutorials on YouTube, following her Twitter and Instagram and one thing I do know is that all the products she brings out must be good. 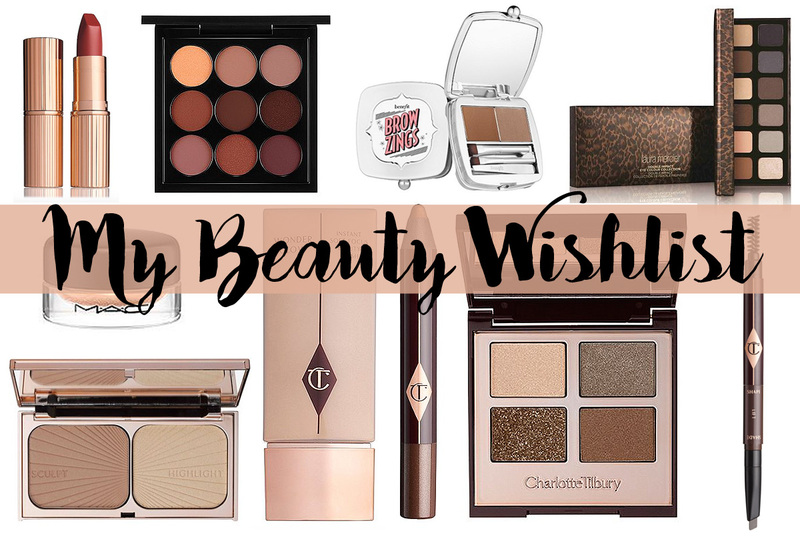 As you can see from much of this wish list I am lusting after A LOT of Charlotte Tilbury, I find that House of Fraser is a key place to buy Charlotte Tilbury as you get points with their beauty card as well! I am desperate to try a Charlotte Tilbury lipstick and Bond Girl is the first shade on my wish list. I think it’s such a gorgeous colour but I need to swatch this on my skin before I purchase as it’s £23 a lipstick! Another Charlotte Tilbury product I would love is the renowned product, filmstar bronze and glow. I’ve heard so many reviews about this and if you think of the filmstar bronze and glow as a highlighter and a bronzer bought separately, £23.50 each isn’t a bad price. I would really love to try the MAC Pro Longwear Paint Pot in Soft Ochre as it’s a product that all the beauty bloggers and vloggers use to prime their eyes before applying eye makeup. Laura Mercier is a brand, which I am desperate to try more products from this year. I love the foundation primer, but I really want to try an eye shadow palette. What’s on your beauty wish list at the moment? Have you got any beauty product recommendations?